It doesn’t matter who you are or where you come from, you might be unsatisfied with your appearance in one way or another. Beverly Hills Plastic Surgery Group is here to help you achieve your desired look with a specialized ethnic rhinoplasty. What is Different About an Ethnic Rhinoplasty? 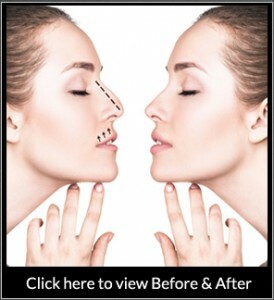 When it comes to your ethnic rhinoplasty in Beverly Hills, CA, we want to achieve a natural look for you. We don’t like the clinical, “worked-on,” manufactured look in favor of a more natural look. It is our mission to reshape your nose so that it fits your face in an ideal way. We want you to continue looking like you. We’re here to help you achieve the best possible version of you. During the consultation, we’ll clearly discuss your rhinoplasty options and devise a pragmatic plan that is custom-tailored to your needs. Contact Beverly Hills Plastic Surgery Group today and we’ll get to work for you. We’re here to give you the special attention you need. An ethnic rhinoplasty in Beverly Hills, CA is a procedure that might require unique methods of operation. No matter the scenario, we have the dexterity and the expertise to perform the procedure with optimum results. * Call today for your consultation with Dr. Danielpour and Dr. Layke today.